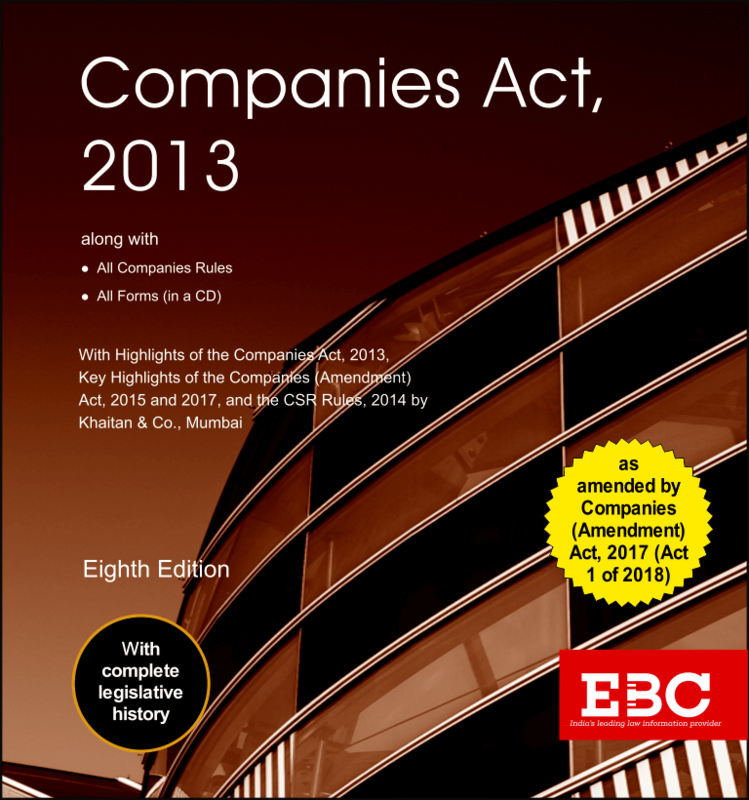 EBC Webstore is India's largest online store for legal products offering real time information on over 3 lakh+ titles of law books and other related materials in print, electronic and web format. Starting its operation in the year 2005, the EBC Webstore is dedicated to providing reliable, secure, powerful and simple solutions to all your legal requirements. 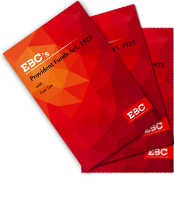 The EBC Webstore offers a wide range of Legal Commentaries, Student Texts, Bare Acts, Digests, Books, Journals, eBooks, eProducts as well as publications in fields allied to law. EBC Webstore offers online payment through multiple dedicated Payment Gateways with 3D secure authentication. It has partnered with the leading courier companies such as DHL, FedEx, BlueDart etc. to provide express and ground courier shipment including Cash on Delivery, Priority Express Mail and Bulk shipments to India and international countries. In today's digital life, it is imperative that the information we seek is available across an array of devices that now run our lives. In order to facilitate a more convenient access to EBC Webstore, it has now been made mobile-friendly, accessible on tablets and phones. This provides readers with all the site's interactive functionality on a mobile browser in a faster, user-friendly way. 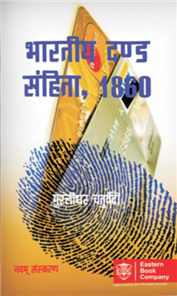 EBC Webstore boasts titles of interest to its varied readership - from classic readings on various subjects to engrossing biographies and autobiographies of renowned personalities. 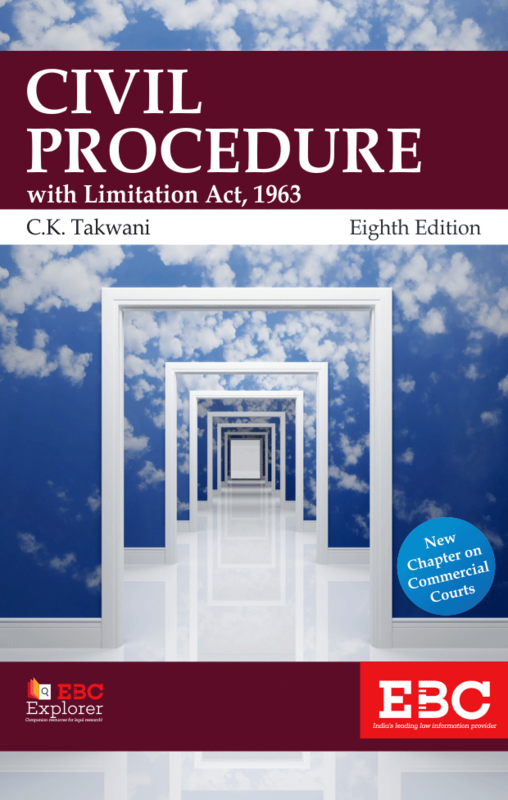 It also provides you access to Entrance Exam Series to guide you on various exams of not only law courses such as LL.B., LL.M., C.A., C.S., I.C.W.A. etc. 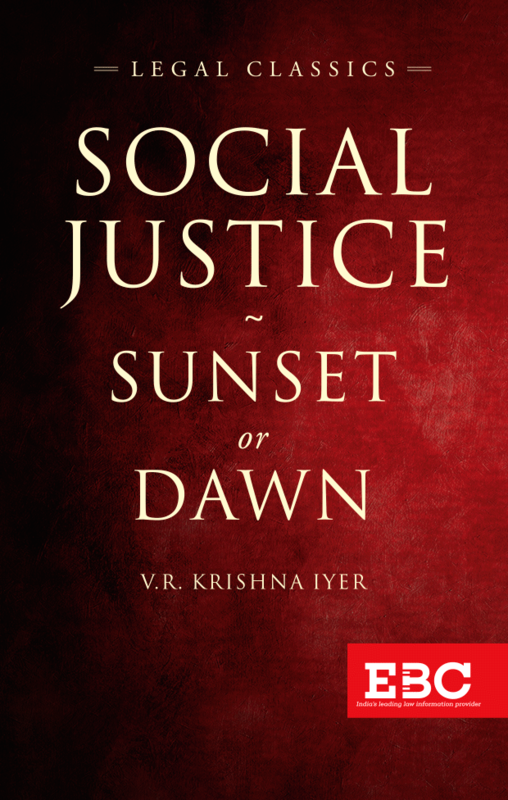 but also for judicial positions all across India. 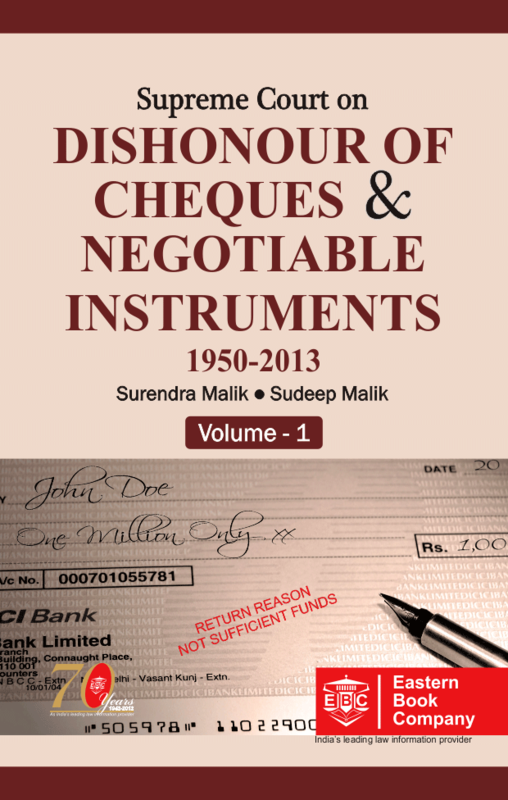 Also featured are highly authoritative and standard publications on various disciplines. EBC Webstore has partnered with all the major Indian publishers and international chains. 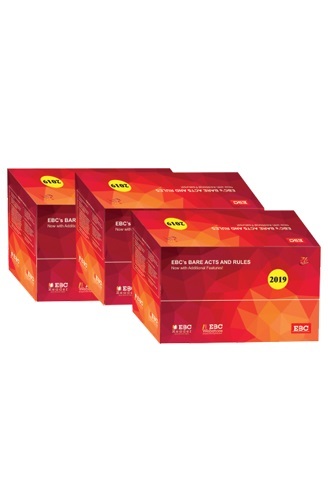 This not only makes EBC Webstore a one-stop-shop for hundreds of thousands of books on several subjects but also multiple books of different authors for a particular subject. Thus, the customers will find at one place all that they are looking for. Further, this feature provides the added benefit of consolidated shipment, specifically relevant for our international customers. 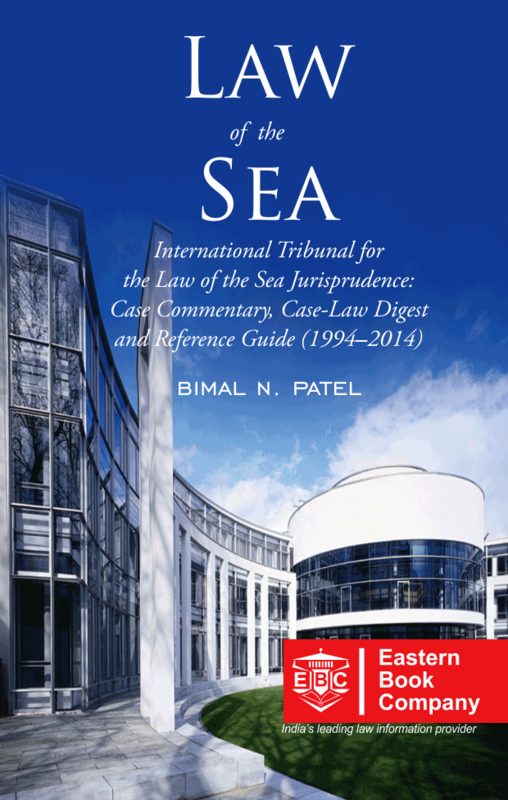 EBC Webstore also provides an extensive collection of titles on international law like European Law, English Law, Singapore Law, etc. These wide range of publications provide an in-depth knowledge of subjects relating to international law. 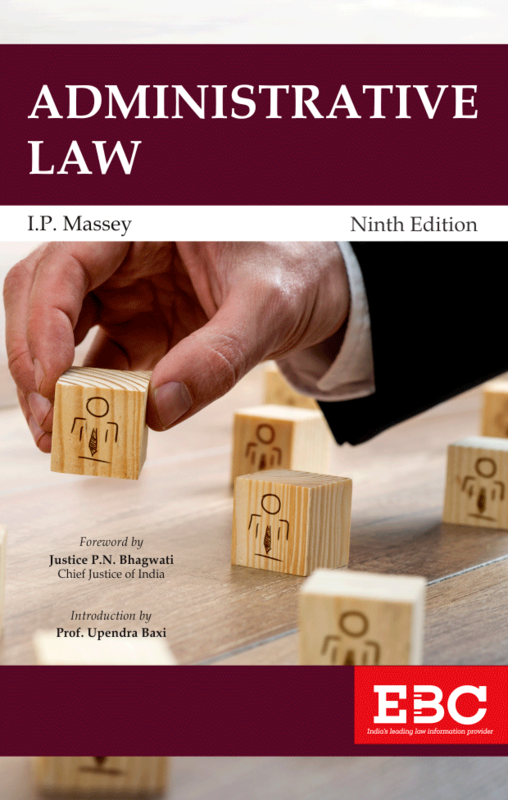 Subscription to a comprehensive range of subject-wise, country and state law reports and journals are also available to provide you the best of case law and statutory law. 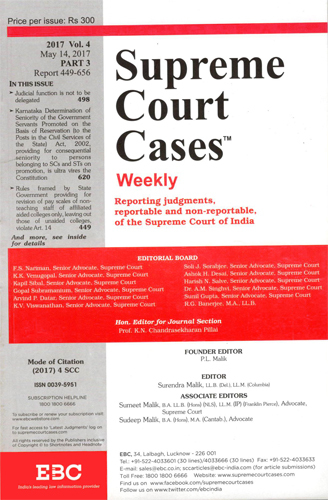 Renowned law reports offered include Supreme Court Cases, All India Reporter, Criminal Law Journal, SCC (Criminal), Business Law Reports, SCC (Labour & Services), SCC (Civil), and ICLR's English Law Reports. 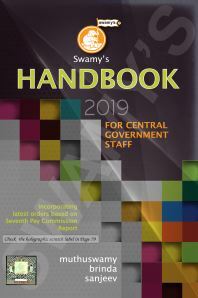 Some of the state journals such as Gujarat Law Reporter, Gauhati Law Reports, Andhra Pradesh Legal Decisions, Jharkhand High Court Reports etc. and country journals such as Pakistan Criminal Journal are featured. 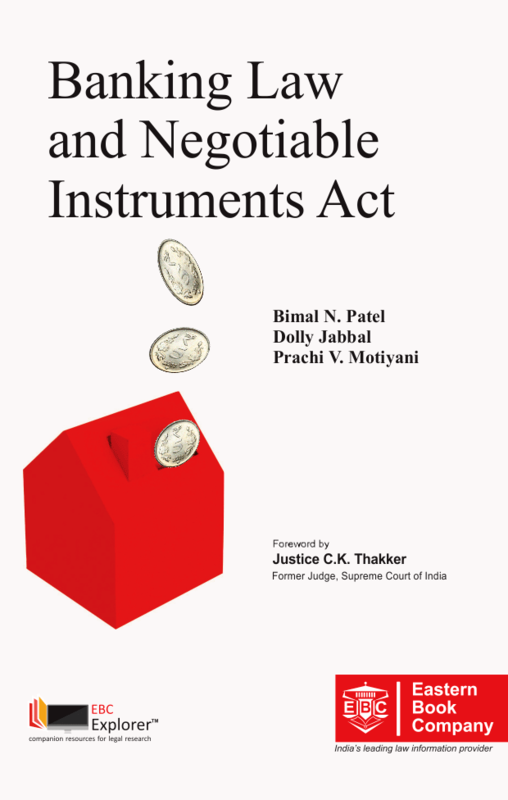 Journals dedicated to specific subjects of law such as Air and Space Law, Arbitration, Banking, Business, keep you updated with the current developments in the respective areas. 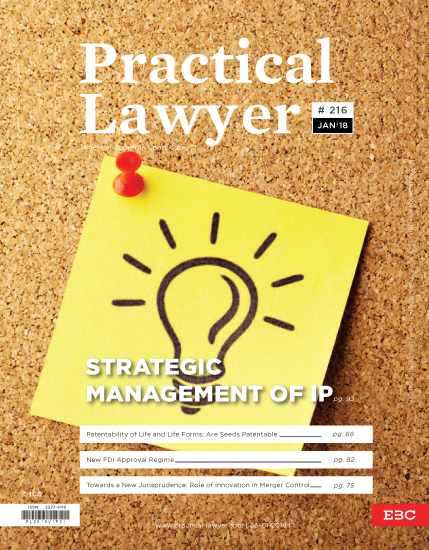 Subscription to and issues of legal magazine The Practical Lawyer, is available to update you on latest legal news, happenings & updates. eBooks available on EBC Webstore can be read on a dedicated reader app, EBC Reader. The EBC Reader is available free of cost on Apple App Store, Google Play Store & on the web and is compatible with iOS, Android and web platforms. 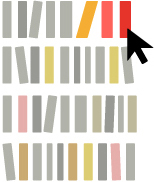 It allows you to read eBooks, eMagazines and eJournals from EBC Webstore in a simple, easy to use and immersive format. 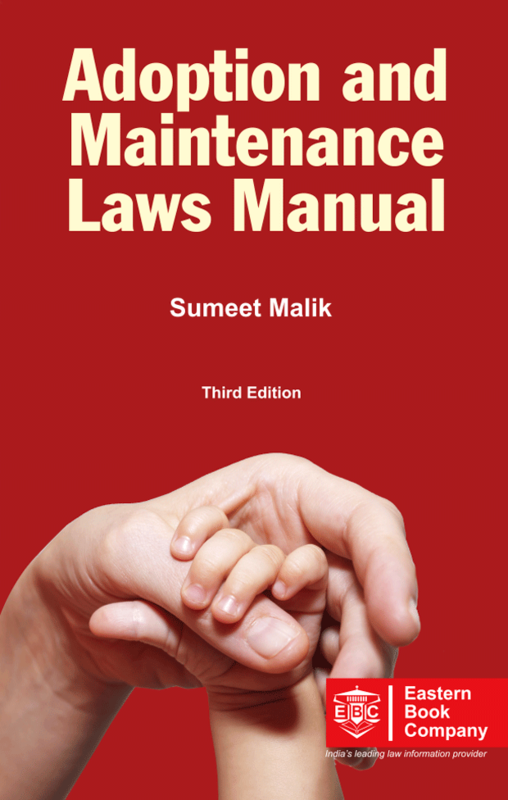 It is a hassle free means of having your entire legal library with you all the time. 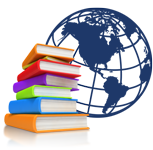 EBC Reader has 200+ commentaries, textbooks, bare acts, journals, magazines and titles of general interest in eBook format. These increasingly popular eBooks save your valuable time, money and can be easily carried in your devices without worrying about weight or storage space. Download your favourite eBooks immediately upon purchase and read them effortlessly across any of your iOS, Android devices & on a laptop/desktop using web version. EBC Webstore offers various online publications that include web based databases and CD-Rom based databases, like SCC Online® Web Edition and SCC Online Case Finder®. 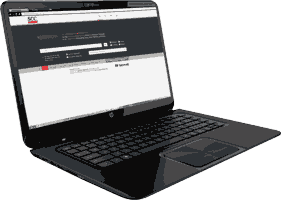 The SCC Online® Web Edition uses authentic and reliable data to create a powerful legal research resource. It contains more than 270 databases, over 2.7 million documents and over 12.5 million pages. 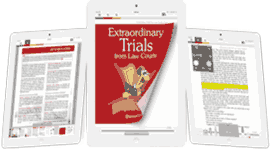 This legal tool helps you complete the research quickly and more conveniently. SCC Online Case Finder® information databases and search program on CD-ROM is a proven source for quick retrieval of case-law precedents. 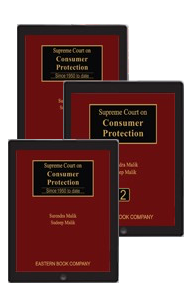 Trusted by thousands of practitioners for nearly two decades, SCC Online Case Finder® on CD-ROM is a tried and trusted legal research database for Indian and English law that never lets you down! 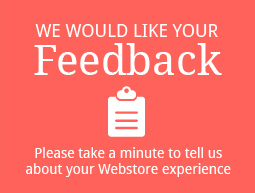 "Every Lawyer must visit, www.ebcwebstore..."
Every Lawyer must visit, www.ebcwebstore.com, don\'t miss it! "No further suggestions. The product is v..."
No further suggestions. The product is very good. 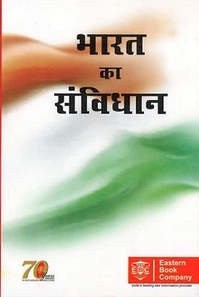 Quality of books is excellent. 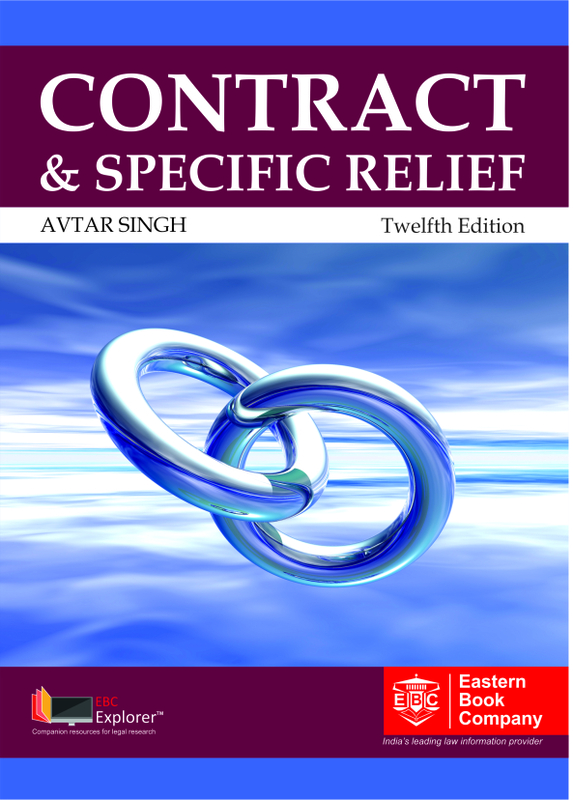 Very useful for professionals as well as lay persons alike. "Faster delivery than expected date!..." Faster delivery than expected date!